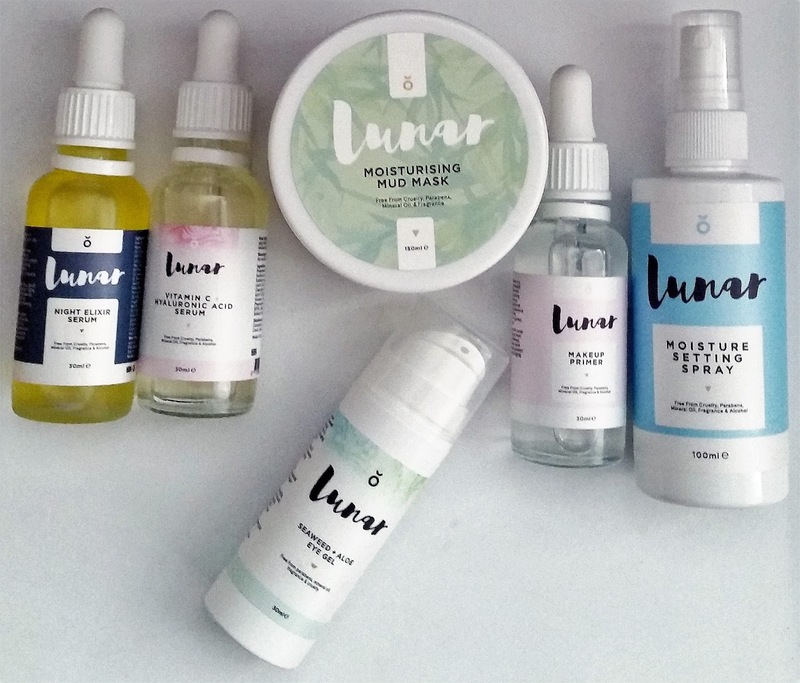 Home / SkinCare / Lunar Beauty - Lunar Glow Range. 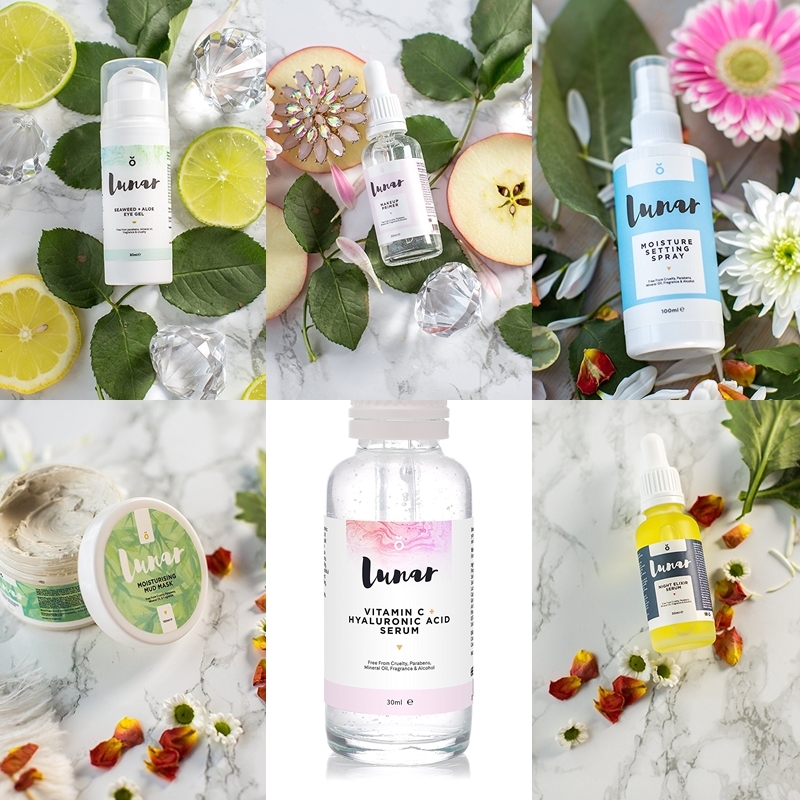 Lunar Beauty - Lunar Glow Range. Lunar Beauty offer a simple beauty range to achieve a natural beauty look. Makeup and skincare prep is made easy following the Lunar Glow Range available to help you achieve a healthier glowing complexion without compromising your skins health. All the products are British made whilst also being natural and cruelty free. The first step From Lunar Beauty is their Vitamin C Hyaluronic Acid Serum for Face and Skin. 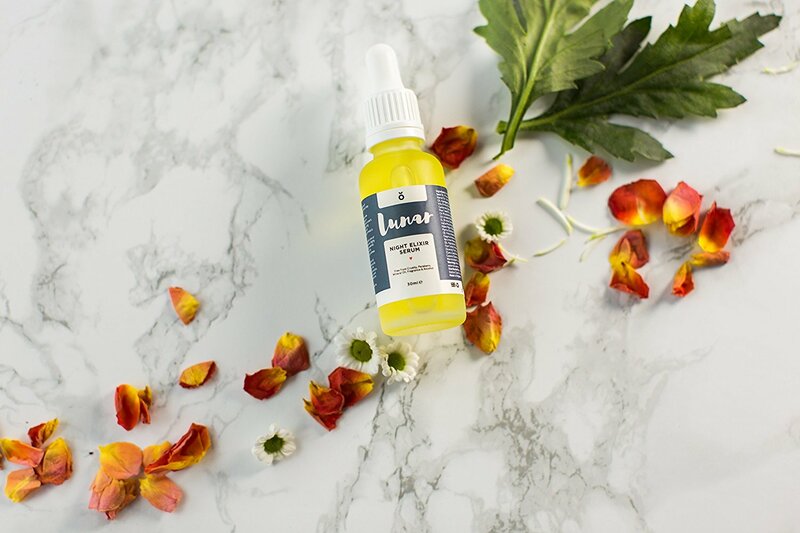 Applying to clean skin, the oil-free base allows the serum to absorb quickly, which also helps the active ingredients penetrate your skin quicker. 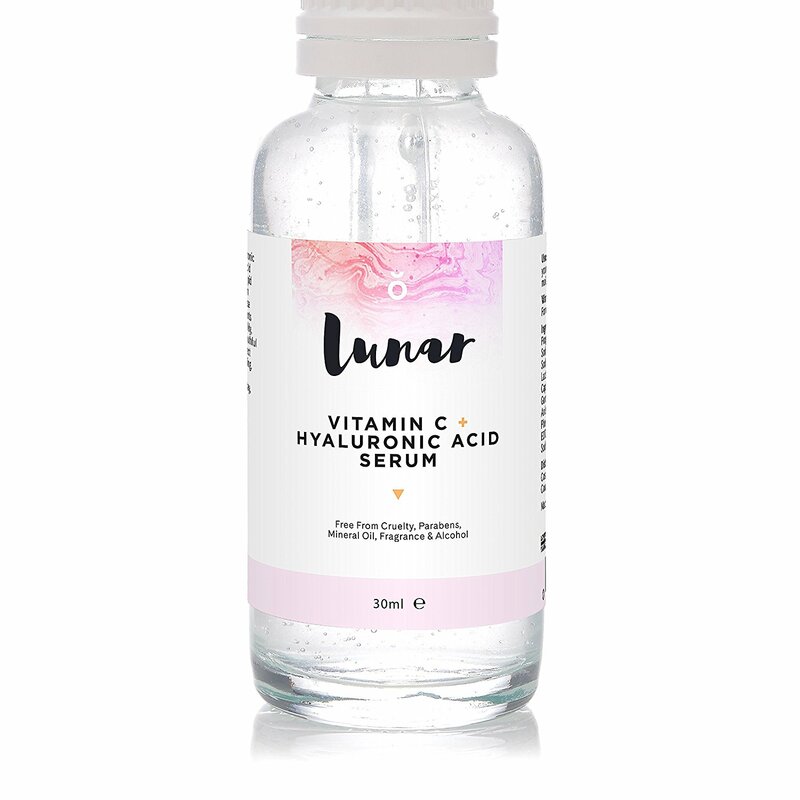 Lunar's Vitamin C + Hyaluronic Acid Serum with lactic acid support helps to boost collagen and plump the skin whilst also protecting your skin from signs of ageing. Skin is left perfectly smooth, hydrated and with a healthy youthful radiance. A simple but effective serum to treat your skin morning and night. High strength hyaluronic acid protects your face and skin from ageing. Rapidly absorbing c-vitamin boosts collagen production. The Lunar Eye Gel with Cooling Seaweed & Aloe Vera is an effective eye gel to transform your eye area. The gel which contains powerful anti-inflammatory properties, as well as anti-ageing benefits, hydrates and depuffs eyes to refresh, rejuvenate and awaken your eye area. Applying the clear gel to your eye area, gently dab without pulling the skin to experience the light cooling sensation. The eye gel is great to use in the morning and also anytime during the day when u need a quick solution to tired eyes. Aloe Vera contains hormones Auxin & Gibberellins, powerful anti-inflammatory properties, designed for dry under eyes. Cooling and healing Marine Collagen derived from Seaweed, natures hidden (in plain sight) treasure.Marine Collagen has anti-ageing benefits, rich in Vitamins A, B, C, E & K and natural fatty acids. 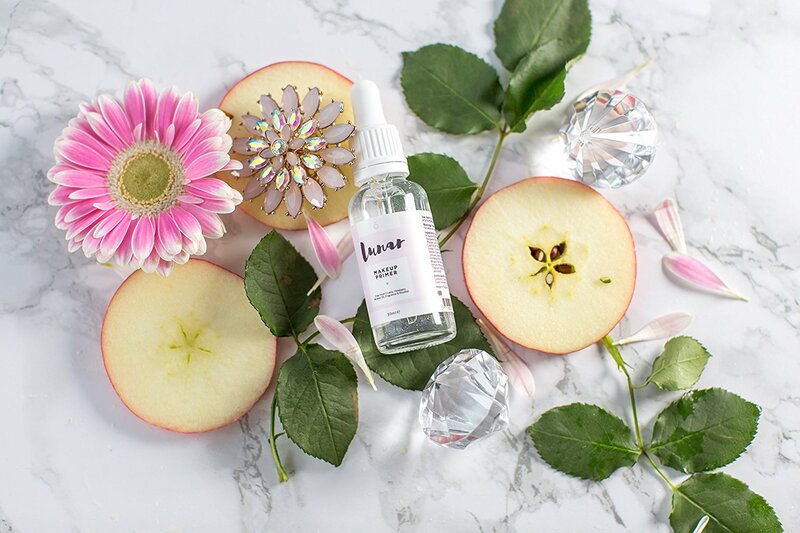 The Lunar Makeup Primer is a light oil free (water based) serum formulated to even out skin tone whilst adding moisture. The primer absorbs quickly to help even out the appearance of blemishes and fine lines to create a flawless base for a perfect makeup application. The primer is a great multitasker that you can still use even if you don't wear makeup. 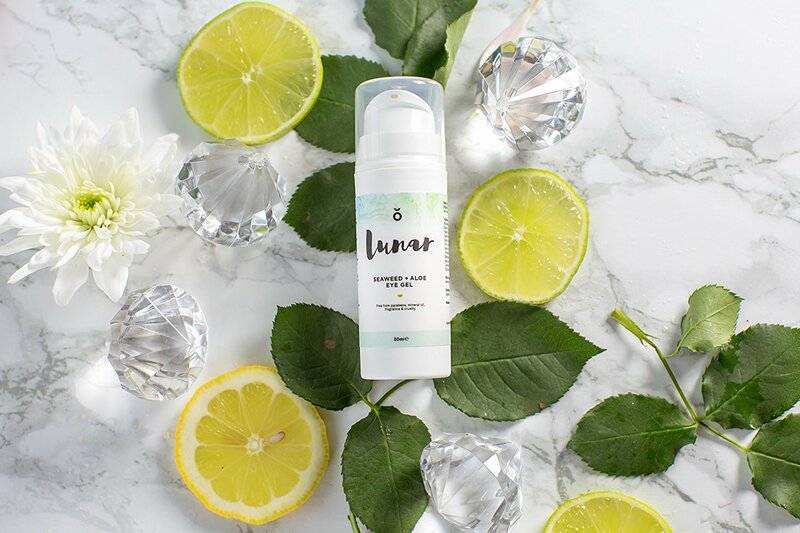 You can apply the primer after the application of the Lunar serum, or after your usual moisturiser, as it will instantly leave your skin soft and smooth whilst still helping to improve your natural complexion with only a few drops. Reduces the appearance of lines, blemishes and pores. Primes and hydrates your face for foundation and makeup application. Evens out skin tone and adds moisture. 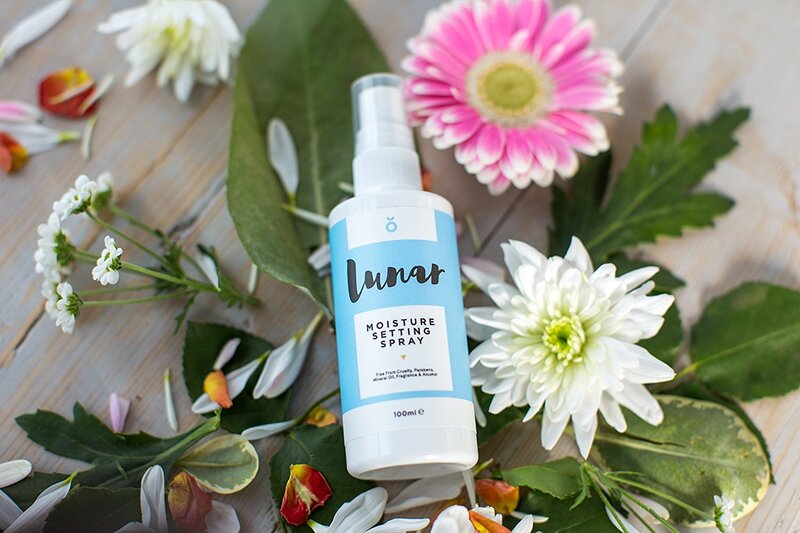 The Lunar moisture setting spray is a product designed to add moisture and support your skin throughout makeup application. Natural Glycerin sets your applied makeup look whilst sweet almond oil adds moisturising benefits with a natural glow. You can use the spray as a primer by spraying onto your brushes or tools before and throughout your makeup application. Another great skincare method is you can boost hydration for dry thirsty skin throughout the day by spraying onto your face to keep your complexion balanced. Contains natural glycerin and sweet almond oil. Finishing make up spray that adds radiance and support to your skin. The Lunar moisturising mud mask reinvigorates your complexion by deeply cleansing, toning and tightening your skin. Shea, bentonite and kaolin create a smooth cooling paste for an exotic ancient mud mask experience. Sweet almond and argan kernel oils hydrate the skin whilst also providing a natural healthy glow to your complexion. Unlike other mud masks, the Lunar mud mask efficiently draws out impurities without leaving skin dry and irritated. A lovely hydrating mud mask that u can use either twice a week or every two weeks, that will help unclog pores, reduce signs of ageing and help bring radiance to your complexion. Moisturising and healing mud mask treatment. Extracts dirt and excess oils from your face. Smooth facial clay that's cleansing on application. The Lunar night elixir serum is a natural powerful complexion enhancing formula that u will love to use. Applied at night, this quick and light formula stimulates cell renewal, reducing redness and hyper-pigmentation to transform your complexion naturally. Prickly pear seed oil is highly charged with Vitamins E & K whilst the other benefits of the elixir are the Vitamins A, C & F. Containing skincare antioxidants, tocopherols and essential fatty acids (oleic, alpha-linolenic & ellagic) this serum offers your skin total rejuvenation overnight when skin is repairing and regenerating. 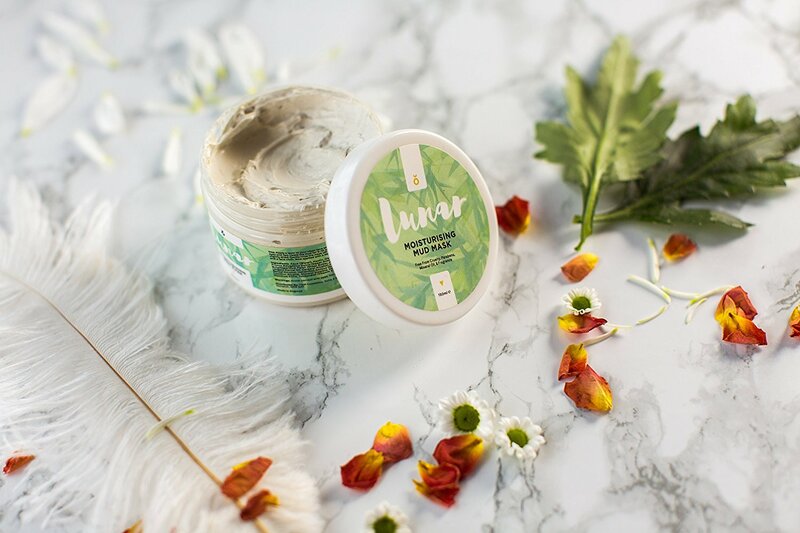 Lunar Beauty offer a natural range to boost and compliment your own complexion. All the products are easy to use and can easily be fitted into your skincare regime. You can also boost your skincare benefits by involving the specified products into your makeup application. See the full Lunar Glow Range to love and compliment the skin your in. X Neil.